A grinder is the ideal tool to crumble your marijuana in the blink of an eye. Once you have used a grinder, you want nothing else. And you can order your own grinder for less than 5 euros! With a Dutch Headshop's marijuana grinder crumbling your marijuana by hand is a thing of the past. Let the grinder do the work and save the effort of doing this with your hands. Marijuana grinders have one important function: Grinding or crumbling marijuana. 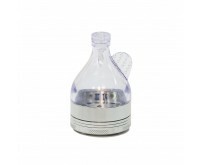 It is the perfect tool to make your marijuana smokable a few seconds. 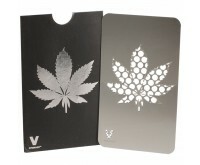 With the grinder you will save a lot of time and effort in crumbling weed. The grinder consists of two parts you can put on top of each other. By turning one half with you left hand, and holding the other part with your right hand, the grinder will turn. The turning will crumble the weed, thanks to the teeth in the grinder. The marijuana is then small and loose enough to put in your joint. Grinders come in different shapes and sizes. They can be made of different materials. The metal grinder is the most common in our product assortment. The prices range of metal grinders is between 5 and 50 euros. The price differences are determined by the quality of the grinders, of course. Apart from metal grinders, there are also wooden and plastic grinders. 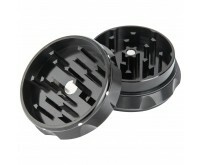 These grinders are relatively cheap, but they are definitely very handy to quickly crumble your weed for a nice price. ANAXY marijuana grinder de-luxe & dispenser; 6 storage compartments, extra robust metal, handy magnetic closures and 3 types of herb mixes. 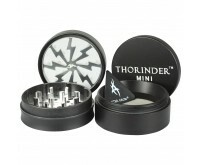 Thorinder Marijuana grinder; consists of four parts, stainless, medical grade steel ergonomic design and magnetic lid. Aluminum screen grinder 50 mm or 56 mm; consists of four parts, sharp teeth and magnet lid. 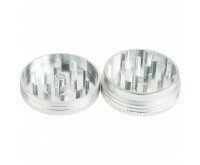 Acrylic grinder 60 mm; extra storage space, sharp teeth, plastic, inside magnet and with the Dutch-Headshop logo. Discover the ease of a grinder. After use, you no longer know what to do without a grinder. Simply order from the Dutch-Headshop and crumb in no time with a beautiful grinder.